It has often been assumed that Darwin started off as a Bible-believing Christian who later rejected his faith because of the scientific discoveries he had made. Nothing could be further from the truth. Life Doesn’t Evolve Around Darwin . . . But . . .
On Sunday, February 15, many churches around the world will be praising Charles Darwin, his ideas, and the “legacy” he left behind. Why not use that Sunday, instead, to celebrate our Creator who made the universe, life, and humanity in six literal days according to His Word? Show some of AiG’s free online videos to your congregation, class, or friends. Examine the claims of evolutionists in light of what the Bible teaches. Devote your Sunday school lesson to Genesis 1–11 and the history found there. Use sites such as this one to show that science confirms that God’s Word is true. With your pastor’s permission, set up a display of creation materials in the entryway of the church. Encourage your pastor to visit The Creation Letter Project and sign the letter. You can sign it as well, and they also have many more ideas for how to celebrate a Creation Sunday. Shrewsbury, the county town of Shropshire, is well worth a visit. It is an attractive market town on the banks of the River Severn, on the English side of the border with Wales. Many major historical events have taken place in or around the town. In the twelfth century it was the centre of that period of civil war known as the Anarchy, as the forces of King Stephen and Empress Matilda battled for control. In 1403, the Battle of Shrewsbury was fought between Henry IV and the combined rebel forces of Henry “Hotspur” Percy, the Duke of Northumberland, and the Welsh Prince Owain Glyndwr. But despite these associations, one historical event seems to have shaped Shrewsbury’s place in the world more than any other—the birth, on February 12, 1809, of Charles Darwin. It has often been assumed that Darwin started off as a Bible-believing Christian who later rejected his faith because of the scientific discoveries he had made. Nothing could be further from the truth. Although Darwin’s father, Robert Waring Darwin, was a member of St. Chad’s Church, Shrewsbury, his Anglicanism was for society purposes only. Charles Darwin’s biographer, Janet Browne, suggests that Robert Darwin was actually an atheist. This would be in keeping with the views of Robert’s own father, Erasmus. Erasmus Darwin, together with Josiah Wedgwood, of pottery fame, and a few others, formed the Lunar Society in 1765. This society, which met once a month, held views strongly in sympathy with French Revolutionaries—particularly the atheist Jacobins. Erasmus Darwin had also published his own theory of evolution, in his book, Zoonomia. Josiah Wedgwood’s daughter, Susannah, married Robert Darwin and, so, was Charles’s mother. Susannah Darwin, like most of the other Wedgwoods, was a Unitarian. She took the young Charles to Shrewsbury Unitarian Church, which can still be found in the town centre. Unitarians, while claiming to be within the Christian fold, deny the deity of Jesus and the truth of Scripture. They also believe that truth can be found in many other religions, as well as absorbing many humanist influences. The young Charles Darwin’s first school was one that was run by the minister of the Unitarian Church. Nineteenth-century Britain was ripe for a rejection of the Bible. The liberal intelligentsia had already rejected much of scriptural truth. With Darwin’s background, his ideas were not really radical—he was a child of his times. Perhaps the main reason why Britain had not followed France into the anarchy of Revolution was because of the great revival sent by God through the preaching of John Wesley, George Whitfield, and others in the 18th century. That godly legacy led to all the great reforming laws, such as the abolition of slavery and child labour. But this legacy was squandered. An evolutionary survival-of-the-fittest attitude to society itself has led the nation of Great Britain—and much of the world—away from biblical principles. Charles Darwin’s legacy is a nation which scorns the God who made the world. Listen to Paul Taylor’s Darwin Thought for the Day. One supporter from Virginia recently wrote with an idea of how he and his church are working to counter Darwin Sunday in their church. Get involved at your church and send us your ideas. 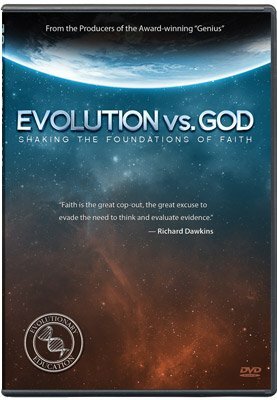 For Sunday, February 8th (just before Darwin’s birthday on the 12th) my pastor is letting me set up a creation display in the lobby and I will be giving away material from [AiG] (like the small booklets you have on various topics). I also am putting together an insert for the bulletin (something you might consider creating in the future and putting on your website as a download that can be printed by churches). Part of what I plan to do is to put the name Charles Darwin and his photo on the insert and then under that put: Born on February 12, 1809. Died (and met his Creator) on April 19, 1882. I hope many others in their local churches will also do something to speak out against “Darwin Day.” Thanks to [AiG] for all the information and materials you provide!